John Green is certainly having a fantastic decade. 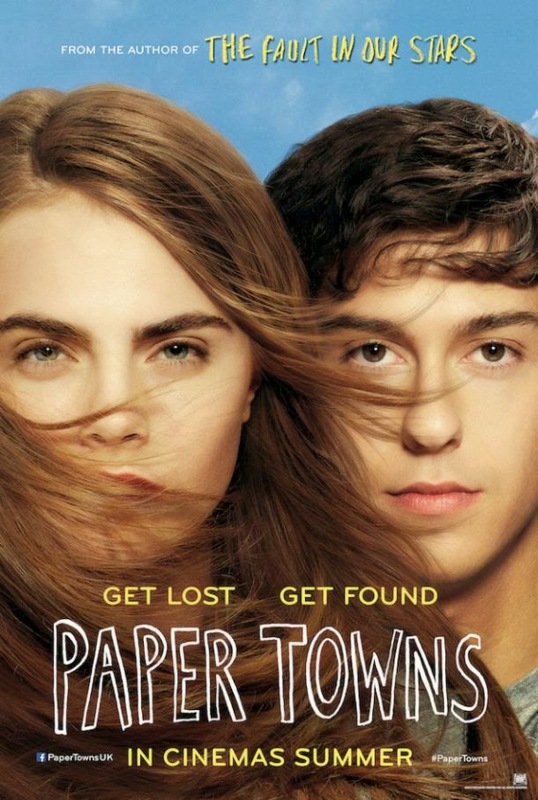 Two of his books have already been adapted: the first one is The Fault in Our Stars, and this next one is Paper Towns, which you can watch its trailer below. As a bonus, you may ogle over this fantastic poster. And guess what... one of the main characters is Gus's best friend in TFiOS film! This Jake Schreier-directed movie stars Nat Wolff, Cara Delevingne, Halston Sage, Austin Abrams, Jaz Sinclair and Justice Smith. The screenplay was written by Scott Neustadter and Michael H. Weber. Watch the new trailer of Paper Towns. Paper Towns is a coming-of-age story centering on Quentin and his enigmatic neighbor Margo, who loved mysteries so much she became one. After taking him on an all-night adventure through their hometown, Margo suddenly disappears--leaving behind cryptic clues for Quentin to decipher. The search leads Quentin and his quick-witted friends on an exhilarating adventure that is equal parts hilarious and moving. Ultimately, to track down Margo, Quentin must find a deeper understanding of true friendship -- and true love. Paper Towns will hit cinemas on July 24, 2015.